Drug crimes are among the most frequently and unfairly prosecuted crimes in the state of New York. They happen at both the state and federal level, and overeager prosecutors are responsible for millions of unjustified or excessive incarcerations in this country. Our Bronx drug defense attorney is very familiar with how drug crimes are prosecuted. If you’re currently facing a drug charge in New York, you could become one of those people. The government will use all of its many resources against you with the singular aim of putting you in prison for as long as possible. The penalties for conviction can be devastating and may follow you for the rest of your life. During the last several years, we’ve seen the government wildly expand its power over suspected drug crimes. The system is designed to throw the accused into an uphill battle, with defendants fighting desperately to escape punishments that do not fit their actions. In many cases, they may not have done anything wrong at all. This page focuses specifically on the crimes of drug possession. There are many other drug crimes, and it isn’t uncommon for prosecutors to bring multiple drug charges for the same set of facts. Each and every potential drug charge is extremely serious, and possession alone can put you behind bars for far too long. If you have been charged with drug possession in New York, or if you believe you are currently under suspicion for any state or federal drug crime, you need immediate and aggressive legal representation from a proven Bronx drug attorney. An experienced Bronx drug possession defense lawyer at The Law Offices of Jason A. Steinberger, LLC can go to work right away in order to thwart the prosecutors and the police as they try their hardest to take away your freedom. 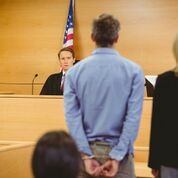 In every case, our goal is produce the best possible outcome, with an eye on dismissal of the charges against you. Along the way, you can count on us for compassionate counsel and honest advice. We aren’t here to judge you. Our job is to minimize the potential penalties, maximize your chances for dismissal, and do everything in our power to protect your good name. Contact our Bronx drug attorney today. What Does Drug Possession Mean Under New York Law? Here in New York, drug possession can be charged as either a misdemeanor or a felony, depending on the circumstances of the arrest (including the quantity of the substance found). Prosecutors have a number of statutes and legal theories available to them, allowing them to pursue drug possession charges in several different ways. In the classic case of drug possession, the suspect is found with marijuana or narcotics on his or her person (generally meaning in their pockets, in their hands, or within their immediate grasp). But it’s possible to be charged with drug possession in New York in less obvious circumstances too. For example, a suspect may simply be inside a car that is discovered to contain drugs somewhere within it. Similarly, if a person is in an apartment or a house that contains illegal narcotics or marijuana, that person may be presumed to have knowingly possessed those drugs — even if the substances were not nearby and the suspect was not using them. There have been many cases in which a person enters a vehicle or someone else’s home, entirely unaware of the illegal substances inside. Nevertheless, those innocent bystanders are often unfairly charged with drug possession. “Wrong place, wrong time” is an unfortunate reality for far too many of New York’s criminal suspects. It doesn’t matter how obviously unfair your case might seem. You cannot count on the criminal justice system to protect you on its own. Many prosecutors are more interested in securing an additional conviction than in producing a just outcome. You need an experienced and aggressive Bronx drug possession defense lawyer to fight for you. Every drug possession charge is serious. Even misdemeanors demand your urgent attention. You need to take swift and strategic action to protect yourself from the criminal justice system in The Bronx. On your own, or with an inadequately prepared attorney in your corner, the system may very well fail you — and you could join the many other New Yorkers who are serving excessive or unfair sentences for drug possession. In our office, you will find a team of experienced and compassionate professionals. Our reason for being here is to protect your future. Our Bronx drug attorney cares about what happens to you. We want what you want, which is the best possible outcome. We’ll fight for that. Take your next steps now. Contact an experienced Bronx drug possession defense lawyer at The Law Offices of Jason A. Steinberger, LLC right away.